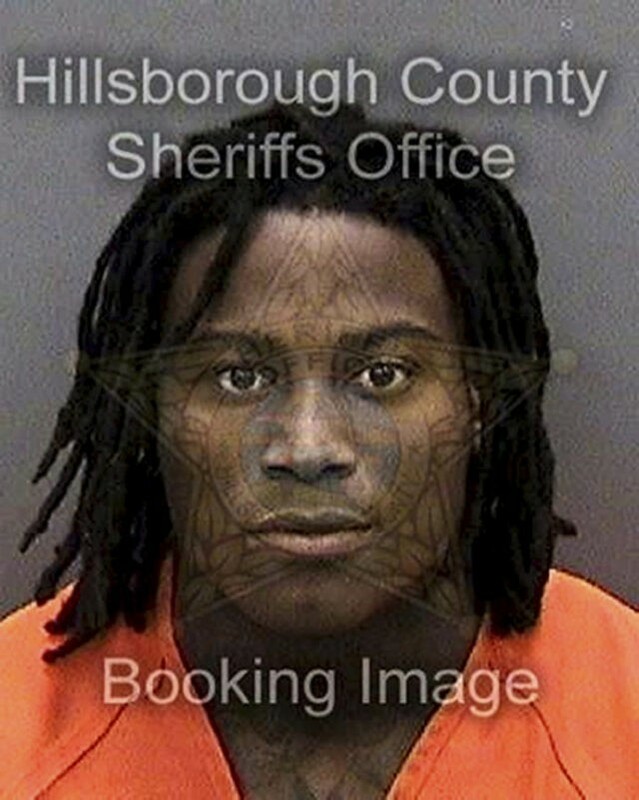 The San Francisco 49ers said Sunday they plan to release linebacker Reuben Foster after he was arrested at the team hotel in Tampa, Florida, on a domestic violence charge. An arrest report from the Hillsborough County Sheriff’s office said Foster was booked into jail at 11:11 p.m. Saturday and was being held on $2,000 bail. Foster was arrested by Tampa police at 9:10 p.m. at the Grand Hyatt hotel where the team was staying before playing the Tampa Bay Buccaneers. The team sent out a one-sentence news release Sunday morning saying it will cut Foster. He will be placed on waivers officially on Monday. The other 31 teams will have an opportunity to claim him, although the NFL could place him on the commissioner’s exempt list if he is signed. Spokesman Brian McCarthy said the league is reviewing the matter. The 24-year-old Foster was charged with one count of first-degree misdemeanor domestic violence. Tampa Police spokeswoman Janelle McGregor said a woman told police that Foster slapped her phone out of her hand, pushed her in the chest area and slapped her with an open hand on the right side of her face. McGregor said officers observed a 1-inch scratch on the accuser’s left collarbone. McGregor said officers learned that Foster had lived with the woman in the past and had been involved in an on-and-off relationship with her over the past three years. Police later confirmed the woman was Elissa Ennis, who had accused Foster of hitting her in February but later recanted the allegations. 49ers general manager John Lynch and coach Kyle Shanahan said in April following that arrest on domestic violence charges that were eventually dropped after the recantation that the team had a zero-tolerance policy. Foster has had multiple run-ins with the law since being drafted by the 49ers 31st overall in 2017 out of Alabama. He was charged in January in Alabama with second-degree marijuana possession. That charge was eventually dismissed after he completed a first-time offender diversion course. Foster then faced more serious charges for an incident in California in February. He was initially charged in April with felonies for domestic violence, making criminal threats and weapons possession after being accused of beating up Ennis. A judge ruled there was no probable cause on the first two charges after Ennis recanted the allegations and the judge found no other evidence to support the charges. The weapons charge was reduced to a misdemeanor and Foster pleaded no contest to that in June. He was sentenced to two years of probation, 232 hours of community service and $235 in fines. He will not be allowed to own guns while he’s on probation. After the charges were dropped, Lynch said Foster was told he would have to continue to earn his place on the team with his behavior. But Saturday night’s arrest ended Foster’s time with the 49ers. Foster was suspended the first two games of this season for violating the NFL’s conduct and substance-abuse policies. He has struggled on the field this season as well and has dealt with shoulder and hamstring injuries. He had missed the past two games with a hamstring injury and was listed as questionable for Sunday. Foster had 29 tackles in six games this season with no sacks, forced fumbles, fumble recoveries or interceptions. He also missed 10 tackles in six games, according to SportRadar, and has the second-highest rate of missed tackles among any linebacker with at least 200 snaps on defense.